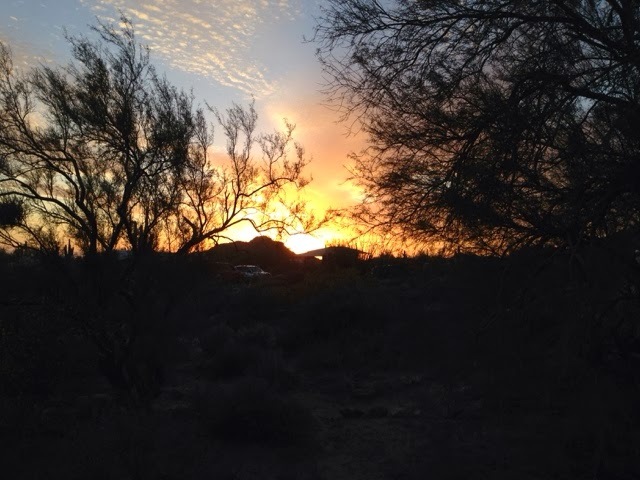 What a beautiful overnight sky at the Bureau of Land Management Free Campground in Quartzsite. I woke overnight about 1:30 and every bit if sky was filled with stars. Around home there is so much man made light that we can't see all the stars with this clarity. Last night I saw them all. Magnificent! Here are the friends I camped with last night. They are kind of an antisocial group as the norm is to park at least 200 feet apart. Looking out over the desert there were others that were even further out there by themselves. 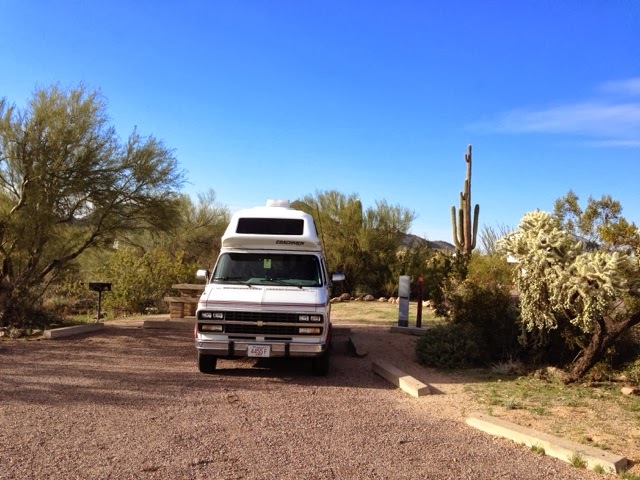 I figured where I would stay tonight about 10:30 am just west of Phoenix at my morning McDonalds stop. 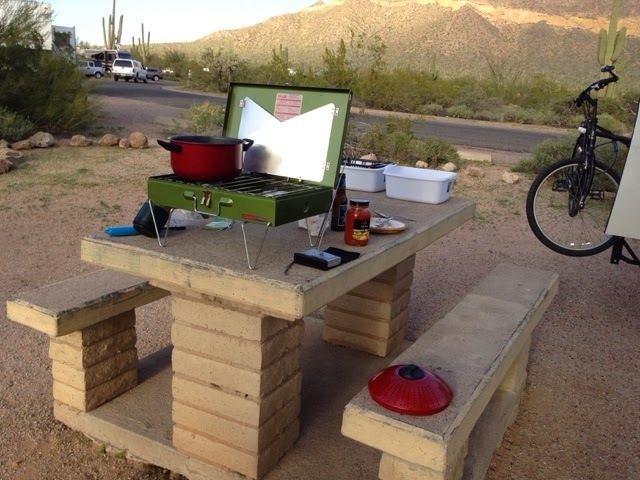 I decided to call the Maracopa County campground in Mesa. Their reservation website does not support IOS only Windows with Flash player. I called the campground and I was helped by a very nice woman on the phone who found a site open tonight and one on Thursday night right next to each other. I told her I didn't mind moving. As she was typing my information in the computer Thursday night site went off her screen. She commented that other county campground have access and must have made the booking. I told her to go ahead with tonight and she said that since this happened that I am able to stay in overflow if no sites open tomorrow. I paid $25 for this beautiful site (see below) with water and electricity and would pay $17 for overflow with no hookups but it has a bathroom and showers and I can use the dump station and I can fill up with water. I told her that I would plan on staying there as I have battery power enough for two nights and I am good with the rest. She said to check in the sm to see if there were any cancelations before I head out for the day. 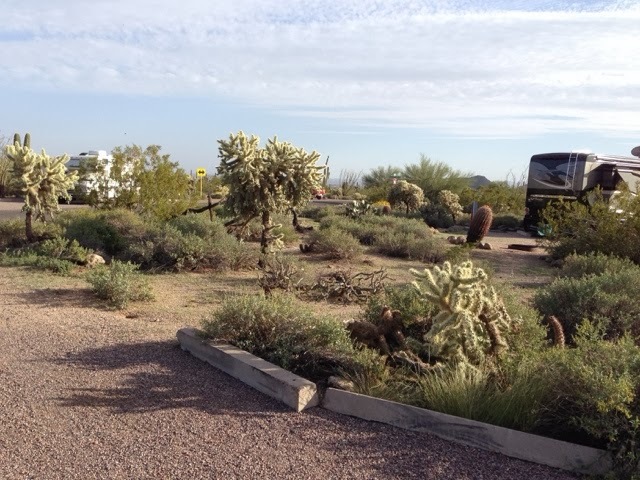 The campground where I am staying is further out of Mesa than what I wanted but I would try it. 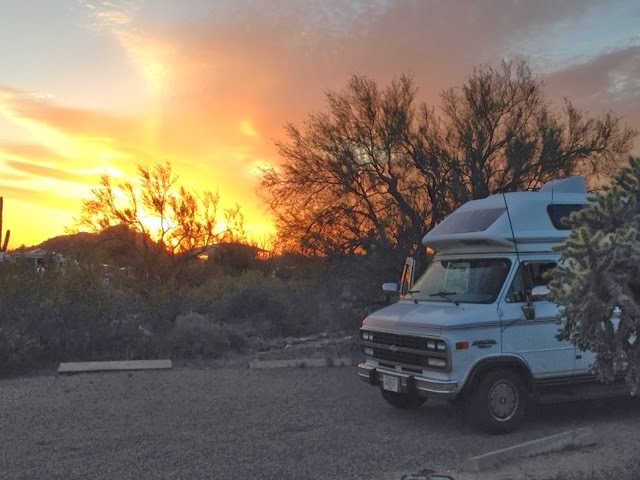 The tradeoff is that it is cheaper than the private campgrounds downtown by at least $10 a night and the savings offsets the extra distance and fuel I will use. 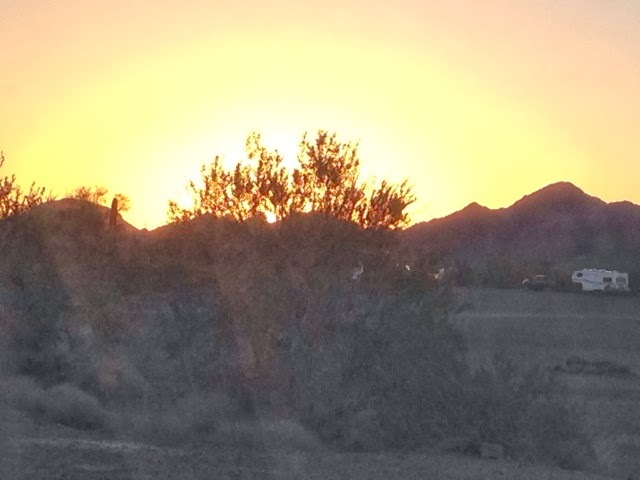 When I arrived at the campground it was in an area of Mesa that I had never been. 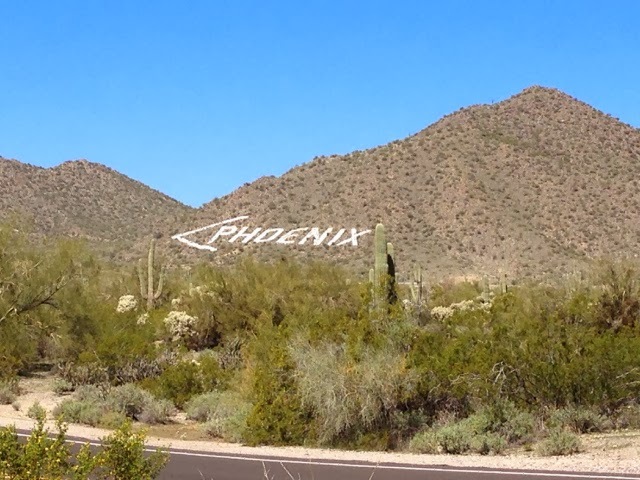 It is near this rock sign of Phoenix with an arrow pointing the direction of the city. I have always seen this rock sign flying into Sky Harbor in Phoenix but didn't know where it is. 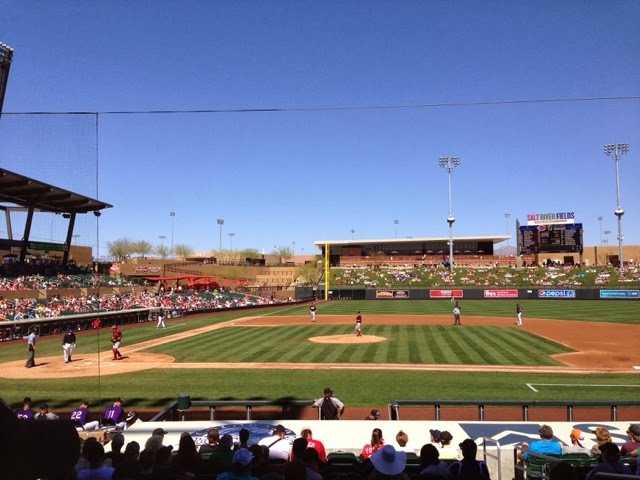 After meeting with the woman on the phone that took my reservation and tagging my campsite I was on my way to Scottsdale to Salt River Fields the winter home for the Colorado Rockies and Arazona Diamondbacks. 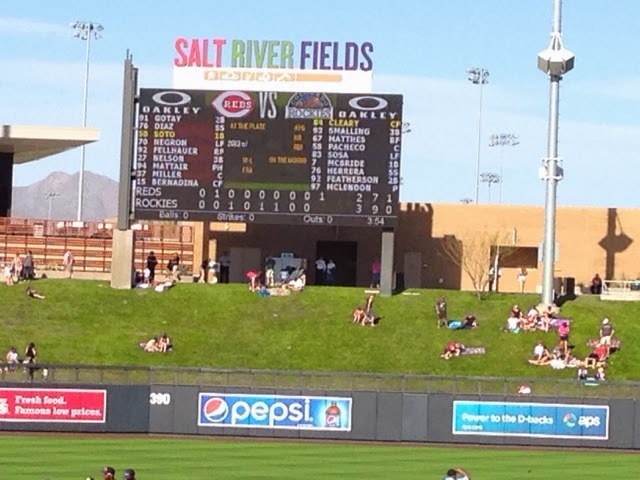 The game was the Red against the Colorado Rockies. Parking was $5 and I got good box seats up from the firstbase dugout for $24. View from my seat. 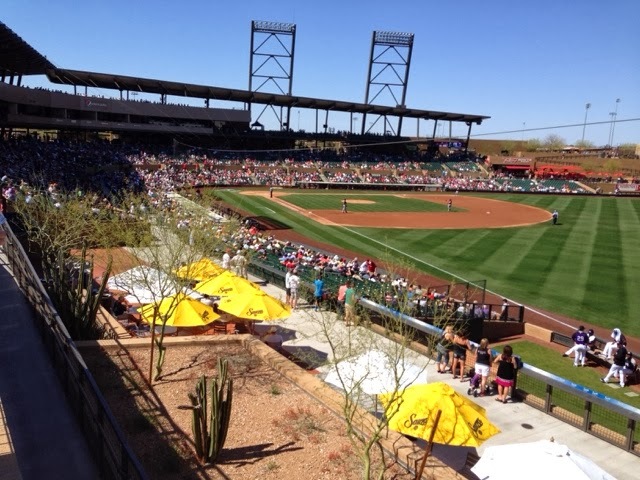 This ballpark is great like the other ones in the area. My seat was next to a man about my age from Sascatchewan who is a retired school teacher that retired in 2003. His wife retiring last year. They own a home in Canada and one in the Phoenix area. His son has a house in Mesa and Baja Mexico. I had to ask what his son does for work as I didn't hear work in the conversation. His son & other son own a number of hotels in Canada and does not need to do much other than manage people that run the hotels. We talked about national health and he advised me that Canada does not have national health they have Provincial Health based on national guidelines. One Province will have different deductibles than the next. Your health insurance is available in that province and there are rules that could result with your province would not pay your medical bill in another province. When he is in the US his provincial insurance covers him provided he is not out of the province for over 6 months. He buys supplemental insurance when in the US to cover expenses not covered by the provincial insurance that costs each him and his wife about $4.50 per day. He can't spend more than 6 months in the US in total or he would have to file US income tax on his earnings. He said he can file to get the tax back since it is retirement income but doesn't want the hassle. He does go visit his son in Mexico and recently went for 5 weeks. 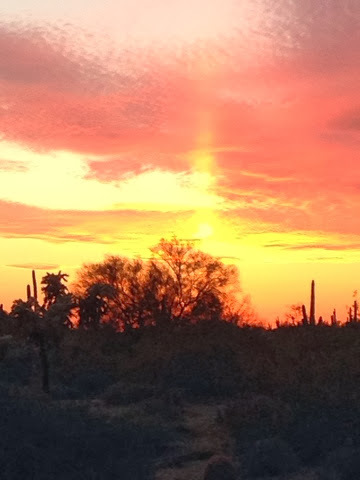 He decided to sell his Phoenix area house at his son and daughter in-law's suggestion. They winter in Baja Mexico for 6 months so the house in Mesa is empty when this man is here. When the son returns for the summer the parents are back in Sascatchewan. So no need for two houses in the Phoenix area. He was also well versed on baseball and players, especially Canadian players. He will be going to other games as I discussed my plans to go to some too before the main season starts. 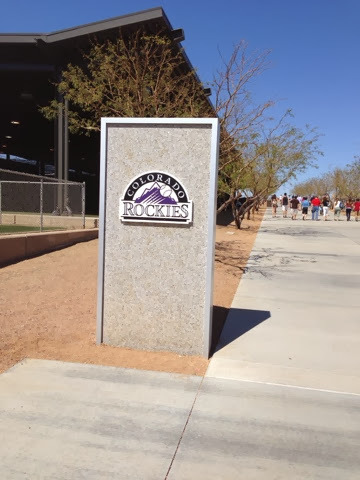 The Rockies won 3 to 2. After the game was over and we all were leaving it was starting to be rush hour and traffic caused some minor delay getting back to the campground. 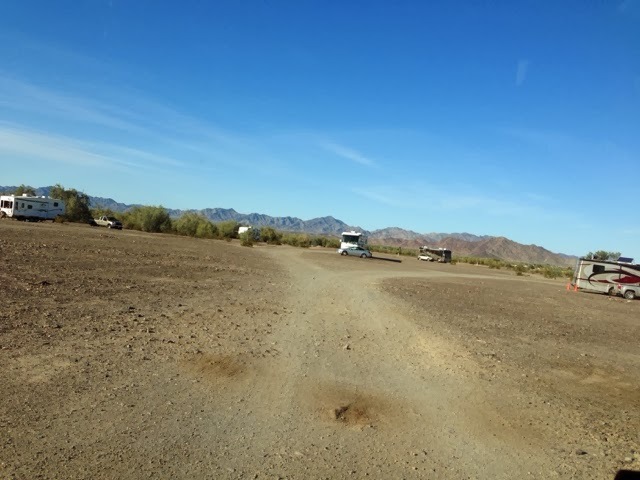 Here is what the campground area looks like. Spaghetti - plan to hike Camelbak Mt. Tomorrow am and need the carbs. I'm learning after Yosemite's hike. Another great night for sunset photos.